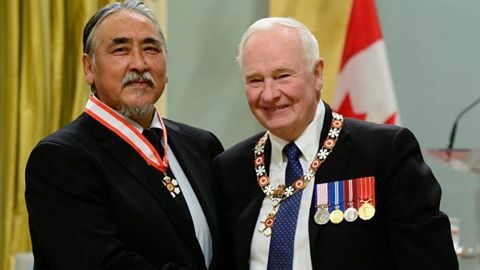 Governor-General David Johnston names new appointments to the Order of Canada, one of the country’s highest civilian honours issued twice yearly, which recognizes a lifetime of outstanding achievement, dedication to the community and service to the nation. 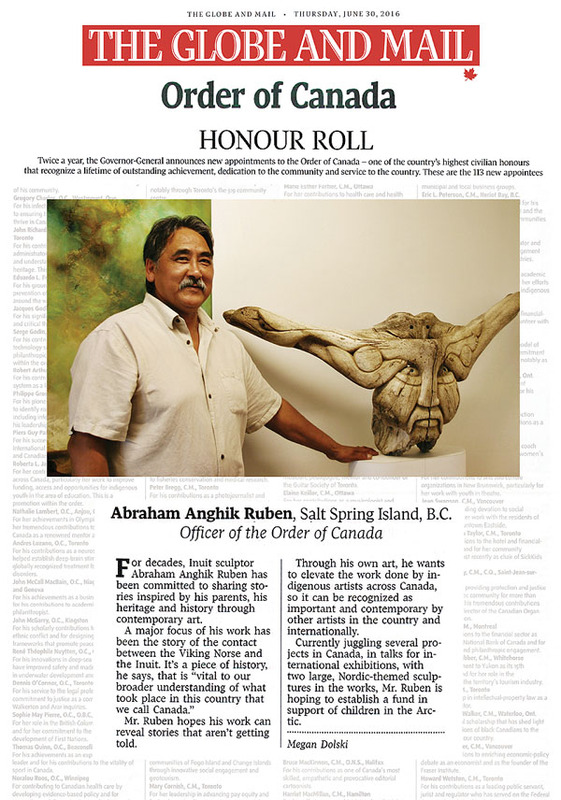 Abraham Anghik Ruben is named to the Order of Canada for his artistic contributions as a sculptor and for his preservation of our northern heritage and national identity………..
Abraham Anghik Ruben, O.C. Salt Spring Island, British Columbia – For his artistic contributions as a sculptor and for his preservation of our northern heritage and national identity.